Jaguar will put its I-PACE electric car into production in 2018. Described as the start of a new era for Jaguar, the company is launching the car at this month’s Los Angeles auto show. 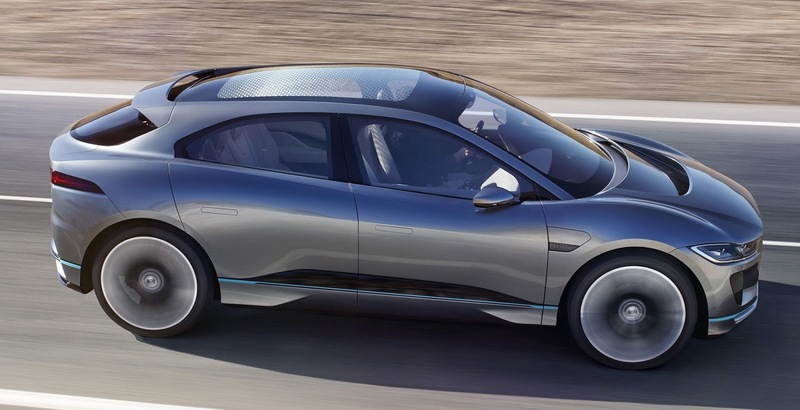 Jaguar claims its engineering and design teams “have torn up the rule book” to create a bespoke “electric architecture, matched with dramatic design”. The result is a five seat sports car and a performance SUV. Ian Callum, director of design, said: “The I-PACE Concept represents the next generation of electric vehicle design. It’s a dramatic, future-facing cab-forward design with a beautiful interior – the product of authentic Jaguar DNA, electric technology and contemporary craftsmanship. The “unique and world-first ‘social VR’ reveal” is believed to be the largest live and connected VR event of its type to date. Throughout the day over 300 guests were transported into a specially created life-like virtual space, into which, two of the car’s creators, Ian Callum and Ian Hoban were projected. Dr Wolfgang Ziebart of JaguarLandRover, said: "This is an uncompromised electric vehicle designed from a clean sheet of paper: we’ve developed a new architecture and selected only the best technology available. The I-PACE Concept fully exploits the potential EVs can offer in space utilisation, driving pleasure and performance." The state-of-the-art electric motors and 90kWh lithium-ion battery pack were designed in-house by JLR to give the best possible performance and range for most daily journeys. To enable this, the car will use Jaguar's aluminium-intensive bodystructure which makes use of Henrob self-piercing rivet technology. UK-based Henrob is part of Atlas Copco. For rapid charging, using a typical public 50 KW DC charging network, a full charge will take just over 2 hours. This is enough to deliver more than 220 miles range (measured on the US EPA test cycle) or more than 500 km range (measured on the European NEDC test cycle). The I-PACE has electric motors on the front and rear axles. Their combined output is 400PS and 700Nm of torque – the same torque rating as the F-TYPE SVR. He said: "Electric motors provide immediate response with no lag, no gearshifts and no interruptions. Their superior torque delivery compared to internal combustion engines transforms the driving experience. With 700Nm and the traction benefits of all-wheel drive, the I-PACE Concept accelerates from 0-60 mile/h in around four seconds." The VR content from the car’s reveal will now be available on Viveport through a dedicated Jaguar app allowing consumers to experience the I-PACE Concept at home. Jaguar joined forces with VR leaders HTC, Computer experts Dell and Creative agencies ReWind and Imagination to create the world’s largest, global, connected VR experience. How will US President-elect Trump react to GHG? Is VW’s Amarok pick-up set to bow in the USA? Any ‘smoke and mirrors’ behind VW’s EA189 ‘fix’?